While the individual scientist contributes her/his share, the scientific community requires concerted actions (see MitoGlobal) to encourage Gentle Science on institutional, national and world-wide levels [Note 1a,b]. MitoEAGLE - EU Framework Programme Horizon 2020 - a COST Action project for improving quality and networking, started in September 2016. It is fair to say that the Vancouver Protocol carries the spirit of Gentle Science, as further developed and updated in the 'Recommendations for the Conduct, Reporting, Editing, and Publication of Scholarly Work in Medical Journals' by the International Committee of Medical Journal Editors (ICMJE). Responsible scientist can add more Gentle Science into science and society by complying to these recommendations. In practice there is scope for improvement, as shown by the diversity of units in biomedical publications ([min] versus [s]; [mmHg] versus [Pa]; [cal] versus [J]), despite of the explicit recommendation to use SI units. Prior and duplicate publication: When submitting a paper an author should always make a full statement to the editor about all submissions and previous reports that might be regarded as prior or duplicate publication of the same or very similar work. The International Committee of Medical Journal Editors (ICMJE) has updated their recommendations to clarify that preprints are not considered as duplicate publications [ref. 3; Dec 2018]. Methods: Identify the methods, apparatus (manufacturer's name and address in parentheses), and procedures in sufficient detail to allow other workers to reproduce the results. Give references to established methods. Statistics: Give details about randomization. Describe the methods for and success of any blinding of observations. Units of measurement: Authors must consult the Information for Authors of the particular journal and should report laboratory information in both local and International System of Units (SI). In addition to being accountable for the parts of the work he or she has done, an author should be able to identify which coauthors are responsible for specific other parts of the work. In addition, authors should have confidence in the integrity of the contributions of their coauthors. All those designated as authors should meet all four criteria for authorship, and all who meet the four criteria should be identified as authors. Those who do not meet all four criteria should be acknowledged—see Section II.A.3 below. These authorship criteria are intended to reserve the status of authorship for those who deserve credit and can take responsibility for the work. The criteria are not intended for use as a means to disqualify colleagues from authorship who otherwise meet authorship criteria by denying them the opportunity to meet criterion #s 2 or 3. Therefore, all individuals who meet the first criterion should have the opportunity to participate in the review, drafting, and final approval of the manuscript. The individuals who conduct the work are responsible for identifying who meets these criteria and ideally should do so when planning the work, making modifications as appropriate as the work progresses. Acknowledgments: One or more statements should specify (a) contributions that need acknowledging but do not justify authorship, such as general support by a departmental chair; (b) acknowledgments of technical help; (c) acknowledgments of financial and material support, specifying the nature of the support; (d) financial relationships that may pose a conflict of interest. The excellent 'Vancouver' recommendations can easily be misunderstood as guidelines towards excluding co-authorship. In the spirit of Gentle Science, however, these recommendations provide guidelines to become pro-active for turning collaborative contributions into fully justified authorships. The team should be motivated by the 'Uniform Requirements' to encourage scientists who provided samples, training and technical assistance, ideas and facilities, to fulfil all criteria for co-authorship and to be listed with full information on author contributions. Potential coauthors, therefore, are to be involved at an early stage—frequently starting with seminars, abstracts, and posters—to provide their comments and intellectual input. Fair compromises have to be made between the urgency of meeting submission deadlines and sufficient time for coauthors to complete their input. Local collaborations gain by organization of project reports and discussions, bringing together all coauthors at regular intervals. Short summaries of such meetings can be shared with coauthors across the globe, asking for their feedback. This allows potential coauthors to step out by admitting that they cannot contribute to the extent of meeting all 'Uniform Requirements' for authorship. Interim project reports provide excellent opportunities to also update the state of authorships, keeping track of author contributions and acknowledgements. Taken together, the 'Vancouver protocols' are used as guidelines for conducting research and open communication about science and authorship. ↑ International Committee of Medical Journal Editors [www.icmje.org/icmje-recommendations.pdf]. Recommendations for the Conduct, Reporting, Editing and Publication of Scholarly Work in Medical Journals. Updated Dec 2018 [2019-04-01] Available from: http://www.ICMJE.org. Avasthi 2018 eLife 2018 Avasthi P, Soragni A, Bembenek JN (2018) Point of View: Journal clubs in the time of preprints. eLife 7:e38532. Sarabipour​ 2018 PeerJ Preprints 2018 Sarabipour​ S, Debat HJ, Emmott E, Burgess S, Schwessinger B, Hensel​ Z (2018) On the value of preprints: an early career researcher perspective. PeerJ Preprints 6:e27400v1 https://doi.org/10.7287/peerj.preprints.27400v1. National Academies of Sciences, Engineering, and Medicine 2018 Science data infrastructure 2018 National Academies of Sciences, Engineering, and Medicine (2018) International coordination for science data infrastructure: Proceedings of a workshop—in brief.. The National Academies Press, Washington DC doi: https://doi.org/10.17226/25015. National Academies of Sciences, Engineering, and Medicine 2018 Sexual harassment 2018 National Academies of Sciences, Engineering, and Medicine (2018) Sexual harassment of women: climate, culture, and consequences in academic sciences, engineering, and medicine. The National Academies Press, Washington DC. doi: https://doi.org/10.17226/24994. Sansone 2018 bioRxiv 2018 Sansone SA, McQuilton P, Rocca-Serra P, Gonzalez-Beltran A, Izzo M, Lister A, Thurston M, Batista D, Granell R, Adekale M, Dauga D, Ganley E, Hodson S, Lawrence R, Khodiyar V, Tenenbaum J, Axton JM, Ball M, Besson S, Bloom T, Bonazzi V, Jimenez R, Carr D, Chan WM, Chung C, Clement-Stoneham G, Cousijn H, Dayalan S, Dumontier M, Yeumo ED, Edmunds S, Everitt N, Fripp D, Goble C, Golebiewski M, Hall N, Hanisch R, Hucka M, Huerta M, Kenall A, Kiley R, Klenk J, Koureas D, Larkin J, Lemberger T, Lynch N, Schriml L, Ma'ayan A, MacCallum C, Mons B, Moore J, Muller W, Murray H, Nobusada T, Noesgaard D, Paxton-Boyd J, Orchard S, Rustici G, Schurer S, Sharples K, Soares e Silva M, Stanford NJ, Subirats-Coll I, Swedlow J, Tong W, Wilkinson M, Wise J, Yilmaz P (2018) FAIRsharing, a cohesive community approach to the growth in standards, repositories and policies. bioRxiv 245183; doi: https://doi.org/10.1101/245183 . National Academies of Sciences, Engineering, and Medicine 2017 Fostering integrity in research 2017 The National Academies of Sciences, Engineering, and Medicine (2017) Fostering integrity in research. The National Academies Press, Washington, DC doi:https://doi.org/10.17226/21896. Wasserstein 2016 The American Statistician 2016 Wasserstein RL, Lazar NA (2016) The ASA's statement on p-values: context, process, and purpose. The American Statistician 70:129-33. Horton 2015 Lancet 2015 Horton R (2015) Offline: What is medicine’s 5 sigma? Lancet 385:1380. Begley 2015 Circ Res 2015 Begley CG, Ioannidis JP (2015) Reproducibility in science: improving the standard for basic and preclinical research. Circ Res 116:116-26. Bilder 2015 Figshare 2015 Bilder G, Lin J, Neylon C (2015) Principles for open scholarly infrastructure-v1. Figshare: retrieved 2019-04-18 http://dx.doi.org/10.6084/m9.figshare.1314859. Yordanov 2015 BMJ 2015 Yordanov Y, Dechartres A, Porcher R, Boutron I, Altman DG, Ravaud P (2015) Avoidable waste of research related to inadequate methods in clinical trials. BMJ 350:h809. Ioannidis 2014 Lancet 2014 Ioannidis JP, Greenland S, Hlatky MA, Khoury MJ, Macleod MR, Moher D, Schulz KF, Tibshirani R (2014) Increasing value and reducing waste in research design, conduct, and analysis. Lancet 383:166-75. Schatz 2013 Biochem Biophys Res Commun 2013 Schatz G (2013) Getting mitochondria to center stage. Biochem Biophys Res Commun 434:407-10. Fortier 2010 Int J Epidemiol 2010 Fortier I, Burton PR, Robson PJ, Ferretti V, Little J, L'Heureux F, Deschênes M, Knoppers BM, Doiron D, Keers JC, Linksted P, Harris JR, Lachance G, Boileau C, Pedersen NL, Hamilton CM, Hveem K, Borugian MJ, Gallagher RP, McLaughlin J, Parker L, Potter JD, Gallacher J, Kaaks R, Liu B, Sprosen T, Vilain A, Atkinson SA, Rengifo A, Morton R, Metspalu A, Wichmann HE, Tremblay M, Chisholm RL, Garcia-Montero A, Hillege H, Litton JE, Palmer LJ, Perola M, Wolffenbuttel BH, Peltonen L, Hudson TJ (2010) Quality, quantity and harmony: the DataSHaPER approach to integrating data across bioclinical studies. Int J Epidemiol 39:1383-93. Schatz 2007 Annu Rev Biochem 2007 Schatz G (2007) The magic garden. Annu Rev Biochem 76: 673-678. Ioannidis 2005 PLoS Med 2005 Ioannidis JP (2005) Why most published research findings are false. PLoS Med 2005 Aug;2(8):e124. Ernster 1981 J Cell Biol 1981 Ernster L, Schatz G (1981) Mitochondria: a historical review. J Cell Biol 91:227s-55s. OA2020 - Open Access 2020 is an international initiative that aims to induce the swift, smooth and scholarly-oriented transformation of today’s scholarly journals from subscription to open access publishing. SCI-HUB - to provide mass and public access to millions of research papers. The topic of Open access publication should be taken into serious consideration by Gentle Science. PubMed Commons - "'From repositories to blogs, the web has expanded means to share information and resources widely. PubMed Commons members are tying data, code, and more back to publications by adding external links to PubMed records.'" PROSPERO - is providing an increasingly valuable resource for identifying on-going reviews which helps avoid unplanned duplication. The unique registration ID helps users link information about what was planned with final reports, so potential biases can be identified and assessed for impact. But we still need to spread the word about the simple free registration process and open access search. To help with this, we would really like to hear from you about your experiences using PROSPERO. We’re creating a ‘wall of feedback’, so short comments, paragraphs or podcasts are all welcome. Send them to crd-register@york.ac.uk by Sept 30th 2015 – and let us know if we can use your name or you would prefer anonymity! At the dinner following the summary session of the Quality Assurance Workshop on ‘Respirometry of Permeabilized Muscle Fibres: Towards Quality Assurance in the Diagnosis of Mitochondrial Function’ (2009 December 9-12; Innsbruck, Austria), the discussion turned to the limited degree of freedom available in our world of competitive science to implement quality rather than quantity in the publication strategies of scientists. We are all fighting with the overload of new publications, many of which lack the quality that would be desirable in the spirit of true progress. What would be an alternative? Are we catering for Fast Food (i.e. frequently junc food) in science? Do we need a Slow Food (Slow Science) movement? Then Shilpa Iyer proposed ‘Gentle Science’, and the response was clear and explicit: Gentle Science Shapes the World, signed by all participants at the dinner discussion (see Signatures; the table napkin was donated by the restaurant ‘Glasmalerei’; several workshop participants had to leave the QA workshop before the summary discussion).. The EQUATOR Network is an international initiative that seeks to improve the reliability and value of published health research by promoting transparent, accurate and complete reporting. The EQUATOR website provides a central repository of up-to-date reporting guidelines and other resources assisting in a preparation of good research manuscript (www.equator-network.org). The EQUATOR team collates resources facilitating the reporting of health research, provides education about the available guidelines, and supports the development of new reporting guidelines. A recommendation is to tncorporate an explicit philosophy of transparent and accurate reporting and the use of reporting guidelines. The EQUATOR Network has initiated work on methodological guidance for developers of reporting guidelines, investigation of barriers and facilitators to implementing reporting guidelines within journals, and on creating a tool for the critical appraisal of available reporting guidelines. The results of these projects should facilitate the process of identifying which guidelines are suitable to be supported by a journal. 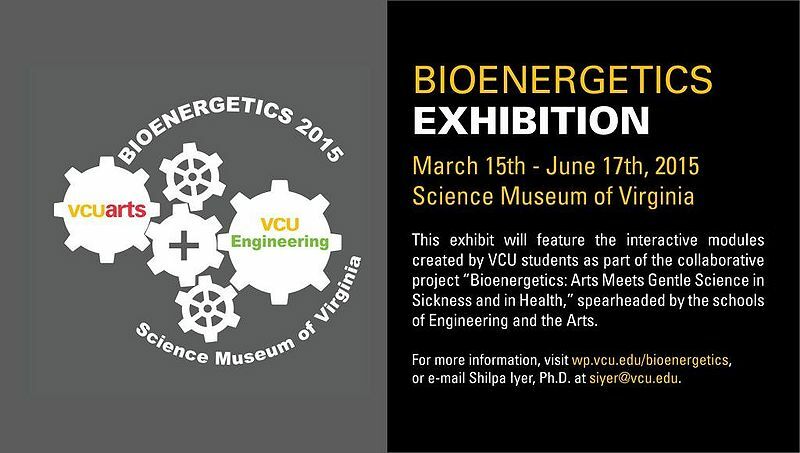 Exciting scientific programme balanced between overview lectures and hot topics. Balance of invited and selected lectures given by senior scientists and young investigators. Programme and conference setting help to communicate beyond the formal scientific schedule and stimulate networking. Prices for accomodation sufficiently low (the upper limit per night including breakfast might be 120-140 €), not to cut into the conference budget (costs for invited speakers), to keep the overall expenses for attendees low. Poster sessions organized for good attendance (not just in coffee/tea breaks, to allow for communication beyond poster viewing). Transparent conference budget, promoting the attendance of scientists from less priviliged countries and students. Open information on registration and abstract submission deadlines. This list needs to be improved, extended, and specified accurately. Quantitative criteria need to be defined objectively (costs, balances). The 'Gentle Science Certificate' may help scientists in their decision to accept or decline invitations, for attendees to register at a more gentle conference, and for sponsors to support Gentle Science Events. The scientific community is deeply saddened by the loss of a great scientist, a Gentle Scientist and friend. In order to honour and commemorate the scientific work of Prof Bengt Saltin, The Saltin Symposium 2015 was held in Copenhagen, Denmark, celebrating his 80th birthday. Gentle Science is explained by the scientific achievements and the life of Bengt Saltin. A Gentle Science project initiated by Shilpa Iyer. More information: Iyer S, Faris S, Rao R, Jamison R, Maurakis E: MiP2014 Abstract. Shilpa Iyer proposed the term ‘Gentle Science’ at a dinner following an Oroboros workshop in Innsbruck, Dec 2009. And the response was clear and explicit: Gentle Science Shapes the World. Bioblast 2012 (Innsbruck, 2012-Dec-10 to 12) was organized in the spirit of Gentle Science. Gnaiger E (2012) Gentle Science and the Bioblast Conference. Mitochondr Physiol Network 17.12. Kliemt U, Gnaiger E (2012) Power and efficiency: Tempo giusto in classical music, thermodynamics and industrial revolution, and the speed of life. Mitochondr Physiol Network 17.12. Iyer S (2012) Gentle Science in the real world of mitochondrial physiology and genetics. Mitochondr Physiol Network 17.12. The link to the 2-minute video can be found at http://youtu.be/9hgrvgAP934. Please share it with others Shilpa Iyer. Nobel laureate Sir John Walker (Cambridge MBU, UK; Nobel prize 1997 in chemistry) has joined the MiPsociety as the first 'Honorary Gentle Science Member' of the Mitochondrial Physiology Society, following his presentation of 'The ATP Synthase' at the MiPsummer School 2012 on July 10 in Trinity Hall, Cambridge. Gottfried Schatz published a book on the history of bioenergetics, from a personal point of view with a broad perspective on post-war science in general and mitochondrial bioenergetics in particular. The classical period of bioenergetics, culminating in the Nobel Price for Chemistry awarded to Peter Mitchell in 1978, is well known for not only fiercly competitive but personally aggressive disputes. The book 'Feuersucher - Die Jagd nach dem Geheimnis der Lebensenergie' by Gottfried Schatz (2011) could have another subtitle: The emergence of Gentle Science. See Open Access article: . We are deeply saddened by the loss of a true Gentle Scientist: Gottfried Schatz (born Aug. 18, 1936) passed away on Oct. 1, 2015, and we remain grateful to him for his unique contributions to science and humanity. ↑ Schatz G (2012) The fires of life. Annu Rev Biochem 81:34–59. Several initiatives contribute to a science in the spirit of 'Gentle Science'. -> We welcome further contacts in the Gentle Science Network. For first steps, see: 'powerful, efficient, and more gentle ..'. Open science - Open access - Open innovation [Note 3a,b]. Unexamined science is not worth practicing/publishing. Gender balance at all levels. Gentle Science implements Better Practice and Quality Assurance explicitly. (1a) Does Gentle Science require a form of organization? – non-profit organization? – Gentle Science homepage? 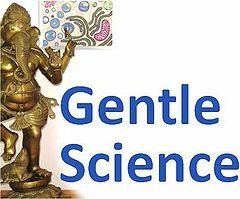 – Gentle Science network, linked on homepages – Gentle Science statements on homepages, Email signatures, letterheads – Encourage scientific societies and journals to engage in Gentle Science. (1b) How can the scientific community provide positive feedback to the practice of Gentle Science, rather than supporting junk science (unfair citation hiding the priority of other groups; incomplete methods description, not disclosing important detail to potential competitors; presentation merely of published information at conferences, preventing open exchange on cutting-edge scientific progress; quick-and-dirty publication instead of implementation of QA, compromising quality for the sake of apparent priority; …)? (2a) Quote: 'The ICMJE encourages wide dissemination of these recommendations and reproduction of this document in its entirety for educational, not-for-profit purposes without regard for copyright, but all uses of the recommendations and document should direct readers to www.icmje.org for the official, most recent version, as the ICMJE updates the recommendations periodically when new issues arise.' [2019-04-01] Available from: http://www.ICMJE.org. (2b) Why authorship matters: 'Authorship confers credit and has important academic, social, and financial implications. Authorship also implies responsibility and accountability for published work. The following recommendations are intended to ensure that contributors who have made substantive intellectual contributions to a paper are given credit as authors, but also that contributors credited as authors understand their role in taking responsibility and being accountable for what is published.' [2019-01-04] Available from: http://www.ICMJE.org. (3a) Published scientific information – largely supported by the society - should be accessible in general, without separation of privileged ‘rich’ institutions and limited access in underdeveloped countries. Open access and open-source initiatives should be supported. (3b) Provide information on the specific responsibilities of each coauthor in all publications: While an increasing number of journals requests author information, inclusion of this information should constitute a decision and responsibility of the authors even in cases when this information is not requested (for comparison, less important statements are found frequently in the acknowledgements section). (3c) Climate change in the laboratory: Unnecessary waste production can be limited in scientific institutions, by implementation of energy-efficient and material-efficient technologies. Dischargeable tools should be replaced by application of re-usable tools whenever possible. Scientific institutions should be rated on the basis of their positive scientific impact and their positive environmental impact factor. (3d) Optimization instead of maximization is required in strategies of scientific publication. While scientific output is still rated frequently on a totally non-scientific basis of ‘number’ of publications, simple mechanisms may be implemented by the scientific community to encourage quality rather than quantity. In job applications and project applications, for instance, a personal selection of very few ‘high quality and relevant’ publications should be requested, without further consideration of numbers of scientific publications (what are large numbers good for?). (3e) Evolution of a scientific publication: Even when trying the best in completion of a publication, there is generally scope for making it better. Whereas a printed ‘paper’ is a final document of an original publication, any published pdf file can potentially be edited for further improving the quality of a publication (corrections, additions, re-interpretations, even short discussions). For instance, fair citation may not always be possible in the most optimal way, given the constraints on page limits, maximum number of references, and the impossibility of complete awareness by the authors of further relevant references. Additions, corrections and extensions are possible, however, in the form of supplementary materials that may be added even after publication, particularly on the basis of correspondence that may be initiated only after publication. If journals do not include supplementary materials after publication, this may be achieved by institutional or other homepages etc., where sections are linked to the relevant publications. Corrections and additions may then not be limited to ‘fair citations', but be extended to all other relevant supplementary information, which may be more useful and efficient than a ‘new’ publication. This page was last modified on 1 April 2019, at 10:55. This page has been accessed 84,617 times.